This week's teaser comes from H2O by Virginia Bergin. I can't tell you how excited I am for this book. I've been dying to read it since it was originally released last year as The Rain by Panmacmillian. Can I just mention this cover? 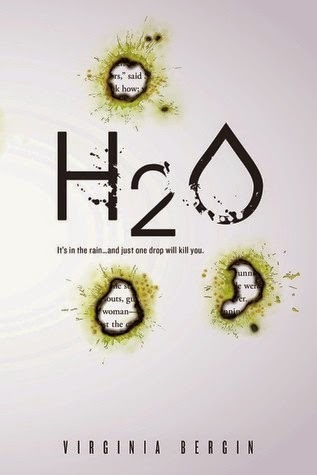 A book about acid rain, and there are acid rain drops burning through the cover to the words? Clearly I need this in hardcover. For more about H2O check out these sites!